St. Michael’s Abbey Preparatory School has three main focuses all of which are strengthened through students growing up together. Part of growing up is learning how to drive and Varsity Driving Academy can help. We believe that students who come to us deserve the best in driver training. Learn about our approach to training teens to drive safely and responsibly below and then sign up today! It’s time students get behind the wheel of their future and we’re here to help. Welcome to Varsity Driving Academy St. Michael’s Abbey Preparatory School Driving School! 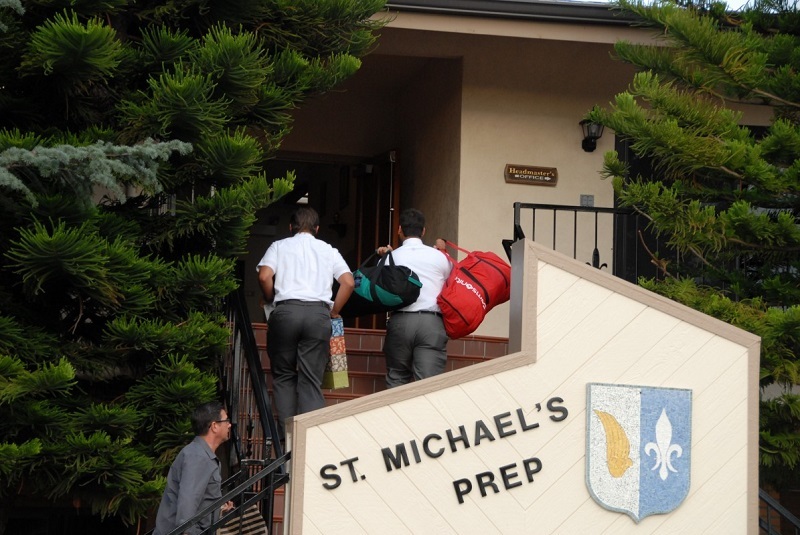 St. Michael’s Abbey Preparatory School driver’s ed students can take full advantage of our free pick-up and drop-off service for every behind the wheel training session. 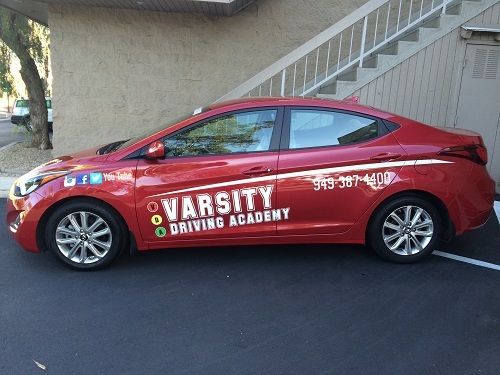 At Varsity Driving Academy we like to offer students as many options as possible. The perfect example of how Varsity Driving Academy works is our online learning option. While the coursework covers everything the DMV requires, the approach is very different. We allow students to register for classes, create a username and password, and get started immediately. When students have other responsibilities to attend to they can simply save their work and log out. Upon their return, students will start from where they left off during their last session. Our goal is to give students the freedom they need so they can focus completely on the lessons and not worry about what’s going on elsewhere. We feel our approach is the best way to get students prepared for the written test and the DMV. Behind the wheel training was once seen as a scary part of the process. Students would get into a car filled with other students, and were expected to not make mistakes. At Varsity Driving Academy, each session with a professional trainer is one on one. We feel these sessions should be freeing in the sense that there is no judgment from peers. The DMV requires each student undergo three sessions, each one being two hours long. Students can schedule those sessions as they see fit and can use our free pick up and drop off service for each one. We also offer more sessions if students feel they need more time. During our sessions, we focus on teaching defensive driving as well as following the rules of the road. Defensive driving is one of the best ways to stay as safe as possible while behind the wheel. The DMV can cause a lot of stress for students who have never experienced a similar setting. Waiting on hold or in line, dealing with strangers and completing the right paperwork is nerve wrecking. Our solution comes in the form of the DMV Package which is available to all students of Varsity Driving Academy. Students who choose our DMV Package get a team of people on their side to deal with the DMV for them. We will call and schedule appointments at the DMV, collect the correct paperwork, and we’ll even pick you up and take you to the DMV for the final test. Once we arrive at the DMV, we will hand over the keys to our safe, inspected vehicle for testing.Our goal is to take as much of the stress out of learning how to drive as possible for all of our students. Please contact us for more information regarding our services at (949) 387-4400.